Running sunglasses do not exist  Do you agree? Running sunglasses do not exist. But, what are you talking about? That’s right, running glasses themselves do not exist. No glasses manufacturer designs sunglasses specifically tailored for running. Many people think that any sports glasses could be used for running but neither this isn’t really certain. It’s true that the vast majority of athletic glasses can be used for running, but it’s also a fact that there are models not completely suitable for this sport. But maybe we are wrong with this statement. If you read this article to the end, you may disagree. If you search Google for “running glasses,” “running sunglasses,” “running goggles,” or any other variant, you may get two types of results. 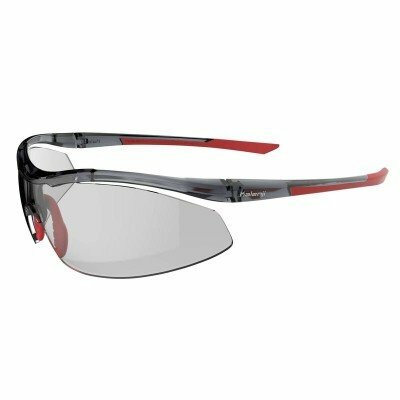 A list with the “supposed” best running glasses, and another series of websites that sell sports sunglasses. At Sunglasses Restorer we always go a step further and try to be more analytical when we write our content. This post is a list in itself, but you won’t find a series of running glasses chosen at random, for pure taste or commercial interest. We’ve made a selection based on the most popular sports glasses on Google when you’re looking for running sunglasses, trail glasses, cross glasses, etc. 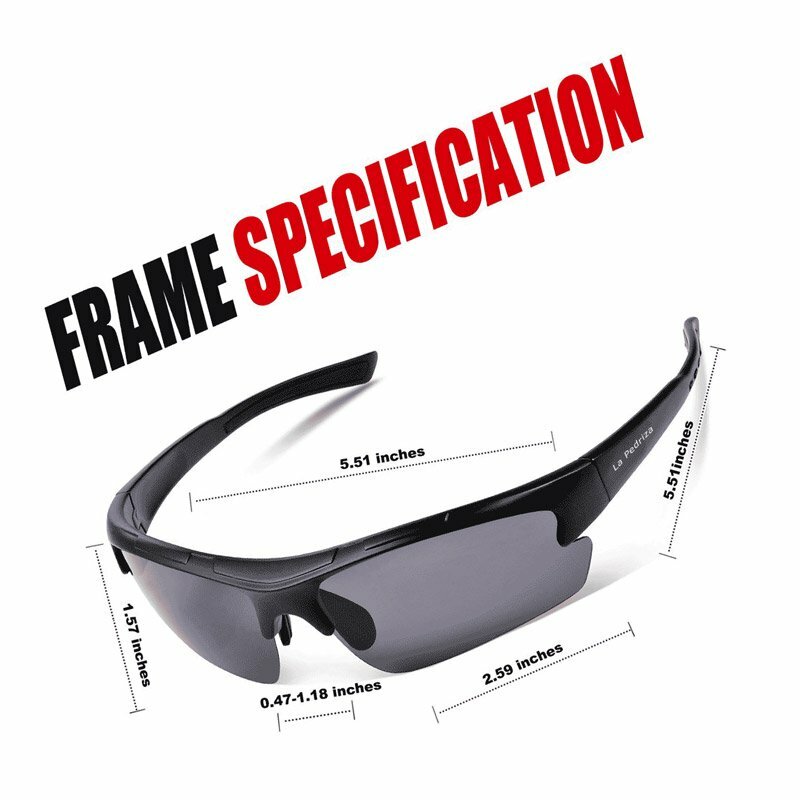 The most recommended type of running sunglasses. Features that running goggles should have. Running sunglasses models for less than €50. As we mentioned at the beginning of the article, any sports sunglasses could be used as running glasses. And within the sports glasses themselves, there are models that are not entirely suitable for running. 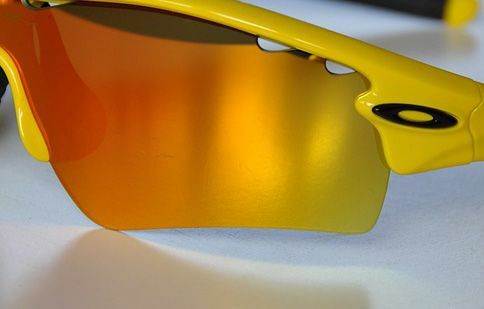 For example, the Oakley Jawbreaker. 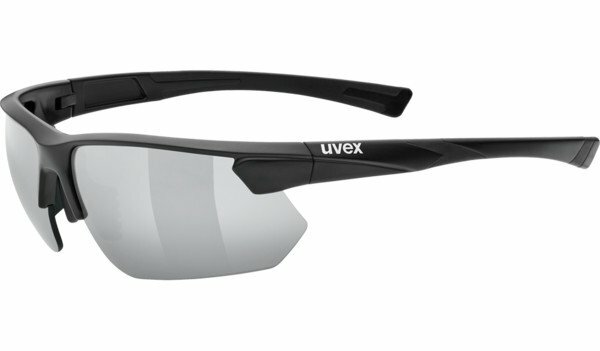 This is because the Jawbreaker is a wrap-around frame model designed to protect cyclists from the wind. 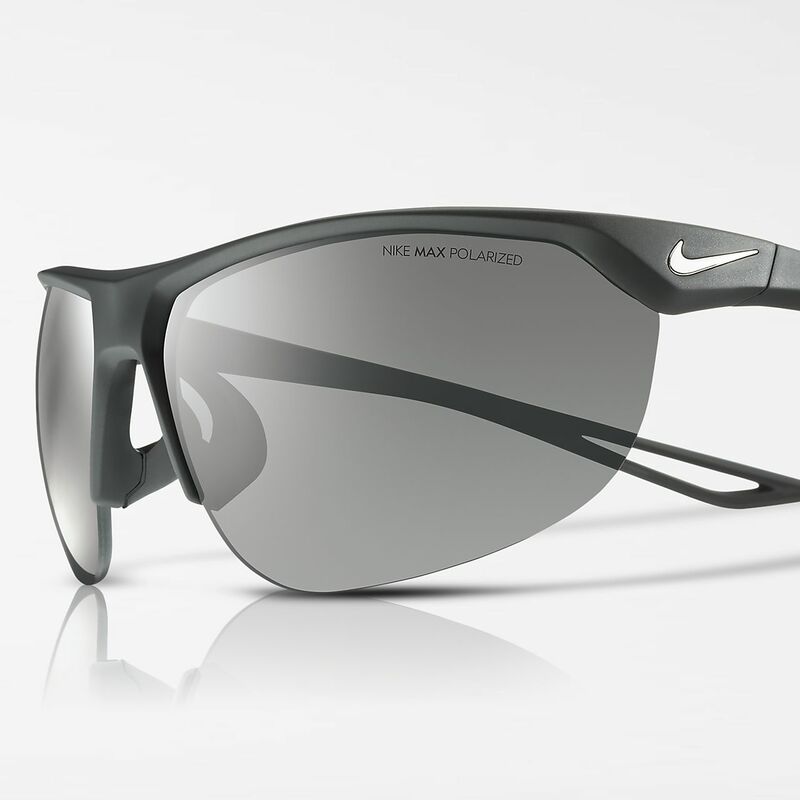 The most recommended model to use as running sunglasses which, from our point of view, should be a rimless sunglasses. This type of glasses allows for more ventilation, and therefore the lenses will tend to fog less. These glasses are lighter too. And when you’re at the end of your race, anything that takes the weight off your shoulders is appreciated, right? If the lenses are vented, much better. Is it now clear in regards to the running glasses you should choose? Semi-rimless frame – this is the essential requirement we already mentioned. Vented lenses – the air must circulate to prevent condensation and fogging. Flexible and soft rubber rods – this feature is for maximum comfort, and believe me, you will agree with me if you wear sunglasses that don’t have this feature for several hours. Soft rubber bridge – this is another element that provides comfort. Anti-fog lenses – if they have this feature you will appreciate it. Height-adjustable bridge – if it’s possible to adjust it according to the anatomy of your nose, it will give you an extra point of comfort. Interchangeable lenses – it’s not a must, but it’s better. Leave us a comment if you think there´s a feature we missed. We will now list the models we have chosen. Running glasses for less than $50. We consider that the model of sports glasses La Pedriza is ideal for running. It’s a lightweight pair of sunglasses, only at 17 grams, with no frame on the bottom and at an irresistible price. It’s only $27 and the best part is that you get a free replacement lens. You can choose between photochromic, transparent, or yellow. If you want to take a look at it, please click here. this model is very popular in cycling, but it’s also recommended for running. It has a single lens, and its nasal area has adjustable pads for different shapes and sizes for noses. In addition, the final part of the rods are flexible. All these features and its price make it a very popular pair of glasses for runners. It costs around $36, and you can find it on online sports stores. Among all Decathlon’s sports glasses, this is the only one that’s really worth it. The unreasonably low prices of $4.99 are an aberration, and those of its high range, which cost around $40, are too expensive for their features. In the middle, we have this model that costs around $20, with an acceptable performance. It’s an option to consider if you don’t want to spend too much. And that’s it for the low-priced segment. In recent years, one of the most important sports brands is pushing out in the sunglasses sector. This American multinational company has its own division of eyewear,and as a result, they have several models in different ranges. Lightweight: the material used is nylon, light and resistant. The lens is a bit large and non-vented, but if you want Nike sunglasess at an affordable price, this is your best option. Simple yet elegant is how we define these sports glasses from the French brand. Flexible soft rubber bridge and rods. The possibility for prescription lenses. This last feature makes it very valuable for people with myopia or astigmatism. The vast majority of sports glasses have a curvature that is difficult to use for prescription lenses. And there are athletes who can’t wear contact lenses and need glasses like this. 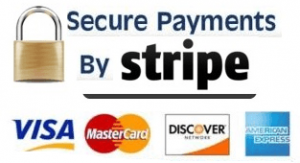 Its price around $55, making it a very important option to take into account. This great brand of sports eyewear cannot be missing from our list. And this model is the one chosen for its great value. Light and resistant Grilamid frame. Flexible rubber bridge and terminals. Its price is around $52. This next one won’t leave you feeling indifferent. This brand of sunglasses, specialized for athletics, is a hard-hitter. The X-Light model boasts of being the lightest sports sunglasses on the market. The model called “Sports” weighs in at just 15 grams. It´s a big deal no doubt. This pair is made of Grilamid. The rods are soft and flexible at the end of the temple, and it has interchangeable lenses that come with an extra-clear lens. The price is quite competitive at around $70. And now we’re going to the level. We are in love with these sunglasses, and in general with the whole Italian brand. Soft and flexible rubber rod terminal. We do have to warn you that they are narrow. We don’t recommend this pair if your face is wide. It is a beautiful pair of sunglasses, and you can find it from $75 in specialized shops. Also, remember that we have spare lenses for it. The concept of running sunglasses starts to take shape here. These sports sunglasses received an award a few years ago – the ISPO Award Gold Winner 2013 (one of the most important sports convention in the world). Remember how Oakley relied on Mark Cavendish to develop the Jawbreaker? The French sunglasses company co-worked with Sébastien Chaigneau, a well-known trail runner in France. Trail runners tend to use sunglasses more often, so instead of running goggles, we could name these glasses trail sunglasses. But the main feature of this model are the rods. The end of the temple is an independent piece, which is attached with a small screw that is made out of hypoallergenic soft rubber. It’s an incredibly comfortable material that allows for total grip on the head. These sunglasses have been on the market for some years now, that´s why you can find them for €70 in specialized stores. Now we move on to a very famous brand. This model is the starting point for Adidas eyewear when it comes to running or sports frames in general. This is a lightweight frame with interchangeable lenses and quality guaranteed by the German brand. However, it lacks soft rubber rods in the temple. Regarding the quality of this pair and their interchangeable lenses, everything is correct. The price is more than acceptable, at around $80. Considering that Adidas eyewear used to cost more than $100, this is a good improvement. Now we move on to Oakley. 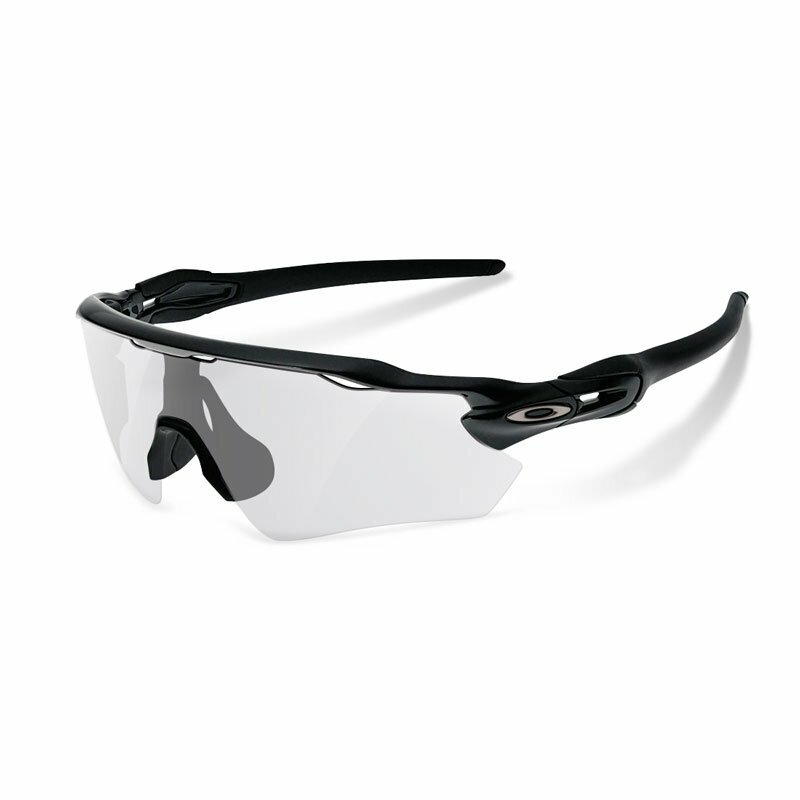 In general, the entire Oakley Jacket range is geared toward sports eyewear. But we chose the Flak Jacket model because it has an affordable price within good quality standards. The features of this model are similar to those of all the other models in this medium range. The frame is somewhat heavier than the other models. On the contrary, it provides a perfect fit to the face. You can also order prescription lenses. Its price varies depending on where you buy them from. On Oakley’s official website it’s over $100, but in speciality stores, it’s anywhere from $70 and $90 depending on the lens you choose. If you choose to rely on the warranties of a brand like Oakley and don’t want to spend a lot of money, then this is your model. And now we move onto the top-tier models. This model has two variations, and the Halfrim is the one that meets the standard of a semi-rimless frame (just look at its name after all). This pair of sunglasses is great, but it does have a negative feature: it doesn’t have flexible soft rubber rods, one of the most important things needed for athletic goggles. It’s a common factor throughout the Adidas eyewear range, and we don’t know why. They have replaced it with a double silicone band on the inner side of the temples to give them extra grip. The rods are adjustable in position. They have a system that allows varying the inclination with the front of the glasses. This is the differentiating factor from other sports glasses because it allows personalized adjustments according to the different facial characteristics of the users. In addition, they can be directly removed and replaced with an elastic band if desired. The bridge is also adjustable by a three-position system, which is awesome. interchangeable photochromic or polarized lenses. They are of high quality and incorporate anti-fog technology. They cost around $120 depending on where you buy them. There’s nothing more to say about this Oakley model. It was one of the first to be seen on the runners’ faces several years ago, and when it was launched it was a revolution. With an ultra-lightweight frame and soft rubber rods at the end, this pair of sunglasses offer a soft rubber bridge (non-adjustable) and extreme ease when replacing lenses. You can choose the shape of the lens among Path, Path vented, Pitch, or Edge. Its current price ranges from $165 to $240, depending on the lens you choose, and where you buy it. 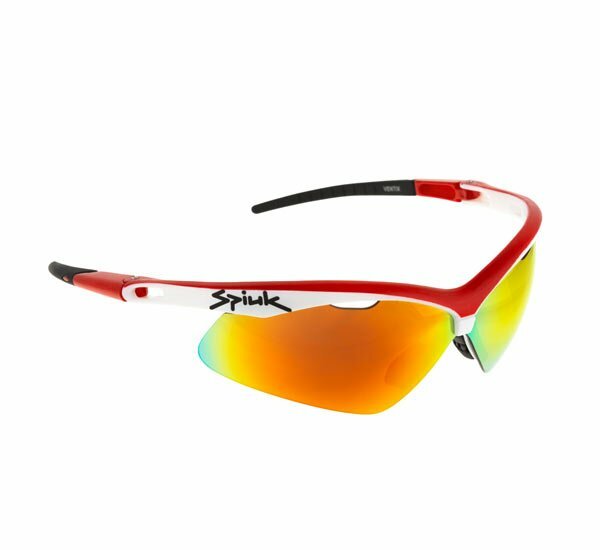 They’re a top running sunglasses, but it´s about to be discontinued by Oakley, so the excessive price doesn’t make it the best option. These sports glasses were born in 2016 and since then has been one of the favorites among the riders who have tried it. 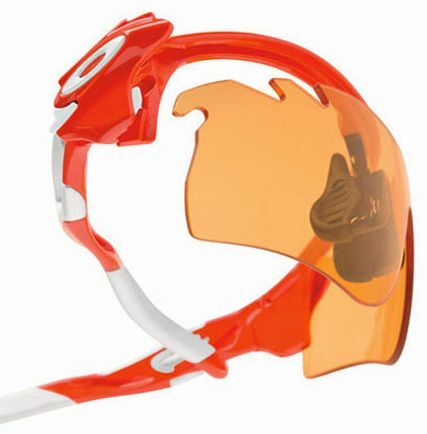 At first glance, it looks like just another cycling goggle, and can indeed be used for cycling or any other sport. But what makes it an ideal pair of running sunglasses is its incredible elasticity. The frame opens completely from side to side if you stretch it from the rods, and it can be twisted as well (do not try this at home please). The entire frame is made of elastic Grilamide, a material that is also hypoallergenic. In addition, it is optimally ventilated due to its countless “holes” along the entire front and side of the frame. The lenses have two ventilation holes on the bottom, and they are of course interchangeable. It’s a pair of running sunglasses that would achieve the highest benchmark in any test. The price is €140, and if you do a little research you will find some better offers. Don´t miss this next one though. At the beginning of the article, we told you that “running sunglasses don’t exist.” Well, at this point I have to tell you that maybe we weren’t being entirely fair. Because if running glasses really existed, the Vaporwing would fit that definition. Like Adidas, Nike entered this industry by bidding for high quality, and developing this frame based on aerodynamics. 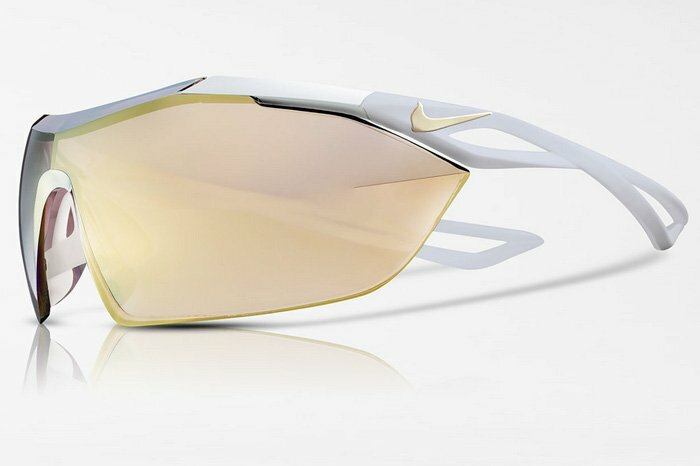 To be honest, we find it hard to believe that these glasses give some aerodynamic advantage over others, but that’s what Nike says so we have to at least mention it. The front of the frame is made of Magnesium. In theory, this material does not absorb heat, so the glasses would not get warm in the sun and it helps prevent sweating of the forehead. It has completely flexible and ventilated rods. Its design and comfort is really spectacular. There is a ventilated and self-adjusting bridge. Tith the time of use, the bridge is deformed to adapt to your nose, which is amazing. Also, it has anti-fog lenses with exceptional optical quality. The company responsible for its production is the prestigious Zeiss. But precisely the lenses is the feature with the one we are angry, because they are not interchangeable. The shield-lens is anchored to the frame so it cannot be replaced. Nike guarantees its durability by claiming that it is virtually indestructible, and we believe it because the material is made of polycarbonate. But there’s no guarantee against scratches. If the Vaporwing falls off and you’re unlucky enough to get scratched in the vision area, you have to throw them away. And its price isn’t exactly cheap, as you might have guessed. It’s around $200. There are two models, the Vaporwing and the Vaporwing Elite. They differ only in the appearance of the lenses. The Vaporwing Elite has the appearance of a single-lens pair of sunglasses, while the Vaporwing Elite looks like two separate lenses. However, that’s not exactly true; the lens of this latest model is also unique in that the shape of the frame includes a bridge in the front. Both are pretty, both are good, and both are expensive. Are you up for it? We are finishing with one of our favorites. The Radar EV is the natural evolution of the Radarlock. This stability is really exceptional, and the frame hardly will move on your face. Its price is not excessively high either. 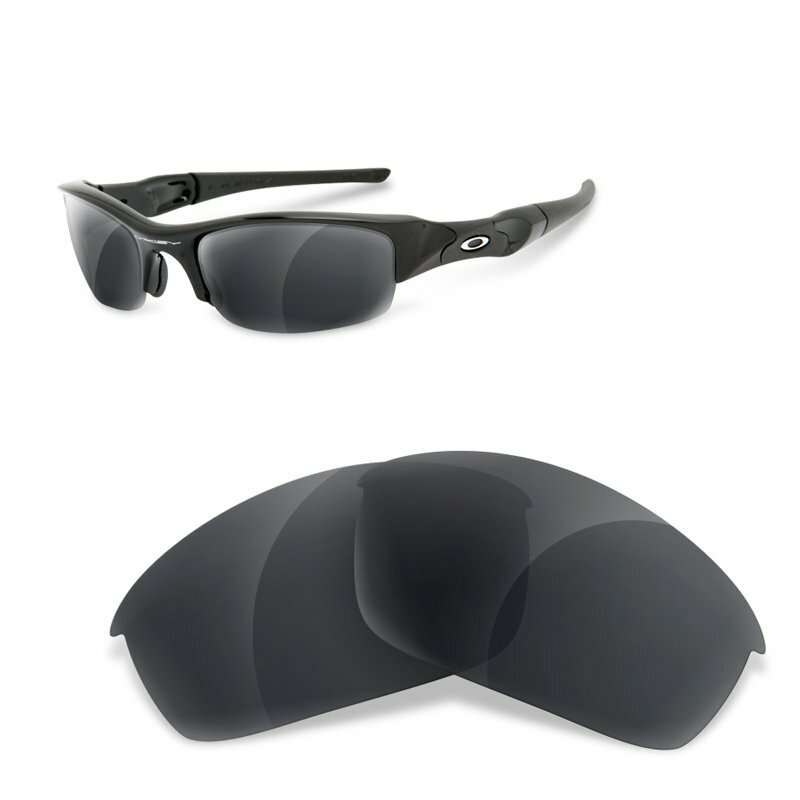 Although the official Oakley website sells it for $172, you can find it for $110 but with a nonpolarized lens. Now let´s check out our three favorites. We will choose one pair of glasses for each price segment, so let’s get to it. We can’t be objective as we have developed athletic sunglasses with an excellent value and something that no other brand offers you: to choose an extra spare lens completely free. Choose between photochromic, transparent, or yellow. Other brands give you a second lens, but you can´t choose. In addition, we’ll always have replacement lenses and you will enjoy the direct warranty from opticians. If you find something similar for only $27, buy it with no remorse. The best mid-range running goggles: Rudy Project Stratofly. You already know that we are in love with this Italian brand, and the Stratofly is of exceptional quality. You won’t regret spending $70-80$on this pair of glasses because it has all the features of higher ranges at that price. The writer of this article would be the one who would choose if he had to buy one. 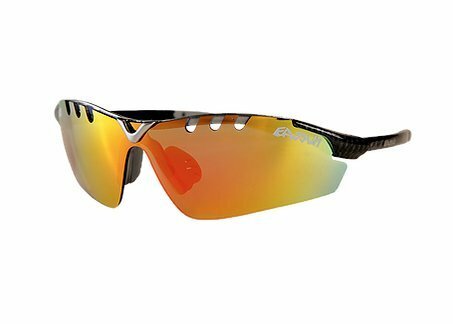 Although we have awarded the Vaporwing as the only true running sunglasses, the Radar EV has greater versatility and a better value for the money. If you have a high budget, it is certainly a great investment. And that’s everything! We hope you liked our selection and find your next pair of running sunglasses. Now it’s your turn. Leave us a comment and let us know if you think any sunglasses are missing from this list. If you like this article, please share it on your social networks.